So now Christmas and 2013 are both well and truly over, we can look forward to 2014. Four days into the new year, I haven’t come to terms with that one extra digit after 13 and when writing dates, I am still writing 04/01/2013. I’ll get used to it soon. Anyhow, today was a good day. Ever since I made up my mind of going back to Spain, I have been quietly planning but today I visited town and bought a few things. The Great Outdoors is a fab store to visit if you want to buy clothes, accessories and footwear to wear outside of the home for walking, trekking, or whatever. They have some great staff too. Receiving vouchers over the Christmas period was enough for me to pay a visit. I haven’t walked down Grafton Street in a while but it is still crowded, filled with people taking advantage of the post-Christmas sales. 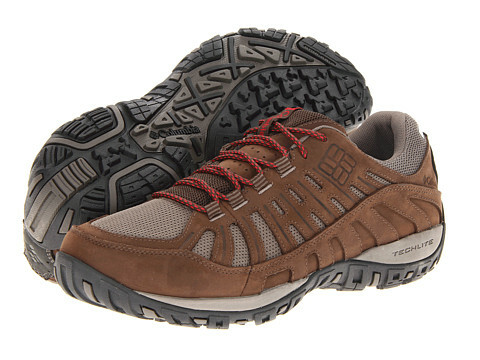 I bought a decent pair of shoes, Colombia Peakfreak Enduro. Not the shoe I was looking for but I was tempted into buying them based on the fit and also from advise from a guy working there who happened to walk the Camino twice before. I just need to get used to them and break them in. My North Face Hedgehogs have served me well over the last number of years but I needed to say goodbye to them. I also bought a lightweight Snugpak sleeping bag, another brand I was recommended. The bag I brought in May was far too big and very awkward to put in it’s sack in the early hours of the morning. Hopefully this will save some space. I booked my flights to Biarritz and from Bilbao on Thursday and all I need to do now is find some where to stay in St Jean Pied de Port. I think I will wait until I arrive there as I hear the small town is not short of cheap rooms, bed and breakfasts and albergues. Next on the list is to get walking again. Before I finish up, I spotted this man on Grafton Street on my way home. Quite a few people were looking on, scratching their heads in bemusement, including myself for a while. 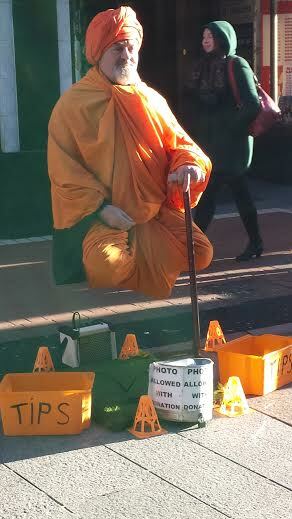 There is a secret behind this levitation. You can read up how he conjures up this “magic” here.